John Lennon is widely believed to have written Steel And Glass about his former business manager Allen Klein. The song appeared on his fifth solo album Walls And Bridges in 1974. I was trying to write something nasty, and I really didn't feel that nasty, but there's some interesting musical stuff on it. Klein had taken control of The Beatles' business affairs in 1969, after the financial situation at Apple had become chaotic. He was also hired as John Lennon's financial manager, and signed management contracts with George Harrison and Ringo Starr. Klein's appointment at Apple was always bitterly opposed by Paul McCartney, who was forced to sue Klein and the three other Beatles in 1970 in order to dissolve their business partnership. The management contracts Klein held with Lennon, Harrison and Starr ended in 1973, by which time their previous enthusiasm for his working methods had soured. On 1970's All Things Must Pass Harrison sang Beware Of Darkness, a thinly-veiled attack on Klein. Although Lennon never admitted that Steel And Glass was about Klein, it was widely interpreted as an attack on the pugnacious businessman. However, although he was trying to extricate himself from their contract, Lennon remained friends with Klein throughout the 1970s. It actually isn't about one person in particular, but it has been about a few people and, like a novel writer, if I'm writing about something other than myself, I use other people I know or have known as examples. If I want to write a 'down' song, I would have to remember being down, and when I wrote Steel And Glass I used various people and objects. If I had listed who they were, it would be a few people, and you would be surprised. But it really isn't about anybody. I'm loathe to tell you this, because it spoils the fun. I would sooner everybody think, 'Who's it about?' and try and piece it together. For sure, it isn't about Paul and it isn't about Eartha Kitt. Lennon recorded a guitar demo of Steel And Glass in the summer of 1973, prior to studio work on Mind Games. At this stage he had the melody and a few lines of lyrics, but it would be another year before the song became the bitter diatribe as heard on Walls And Bridges. A piano demo was taped in 1974. Again, the final lyrics were yet to be written. Although Lennon's ideas were taking shape, it was largely based upon a single piano chord – a far cry from the embellished final studio recording. Prior to recording Walls And Bridges in July 1974, Lennon spent around 10 days in pre-production at Sunset Studios and Record Plant East, New York. During this time he rehearsed a number of songs with the musicians he had recruited for the sessions. An edited version of Steel And Glass from this time was included on the posthumous collection Menlove Ave, released in 1986. A stark rendition with Lennon's steel-string guitar to the fore, it lacked the string arrangement of the final version. Walls And Bridges was recorded in July and August 1974. Take 8 of Steel And Glass was released on the 1998 box set John Lennon Anthology, and sounded closer than ever to the final version, although with the reggae rhythms of the chorus more pronounced. Take nine was the one used on Walls And Bridges. Once the basic track was complete a number of overdubs were added, including strings and brass. The soaring and swooping violins, in particular, were a clearly-intended echo of How Do You Sleep from 1971's Imagine – an attack on Paul McCartney which featured lines suggested by Allen Klein. I think John wrote this about himself. Maybe not (fully) consciously, but still. I wondered if it was about his mother’s death? She was hit by a car… made of steel and glass. At the start of the song John is heard whispering “Who is it? Who is it? and knowing John ( I wish ) that is exactly what he wanted people to be asking. A genius at creating questions and concealing answers ! He had a fantastic sense of humour….depicted in some of his songs ( Walrus , Mean Mr.Mustard,) and his books. No one seems to dare mention it in his Wikipedia entry, but it’s possible Klein was mobbed up, based on his business dealing and ownership of the money-laundering label Cameo/Parkway. Another reason John might have remained oblique about any reference to him? Clarification – what does John mean by saying, “it isn’t about Eartha Kitt.”? Eartha Kitt – what does that come from? I don’t know. I suspect he’s saying something like “It’s not about Paul, or the postman, Uncle Tom Cobley, or anyone”, but chose EK instead. Or perhaps there’s some 1974 rumour I’m not aware of. Eartha Kitt is a kind non-sequitor. He could have mentioned anyone. Just part of his humor. He means it isn’t about Eartha Kitt. It’s literally that simple. I think it was a joke…Lennon style. 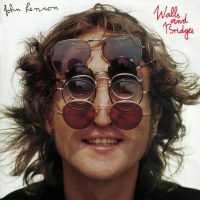 This is a great song off one of the most underrated solo Beatles albums of all time, Walls and Bridges. More than likely about Allen Klein, but what ever, John Lennon at his finest. Great vocals and rhythm guitar. When I got my first vinyl copy of this in 1982, I instantly loved this. # 9 Dream I knew from the time it appeared on the radio in 1975 and always loved. I’ve always believed this song was about John. Steel and Glass is a mirror. There you stand with your LA tan- John had run away to LA and was hanging with Nilsson and others… I think he was struggling with who he had become. I love this track for me personally it has a sound that links to my ex wife, especially with lyrics such as ‘you leave your smell like an alley cat’. An extra plus is I can play it anywhere, even if my ex is around, and its significance is only known to me. Oh and of course those who read this. It’s quite impressive how Lennon could pull all of this together, all these musically accomplished friends, and get all this down, and have fun and create mystery all at the same time. The logistics of it, the art, 9 takes… It’s a lot of orchestration, musically and socially. I don’t think he ever revealed who he had in mind when he wrote it, but I doubt it’s too deeply wrapped up in metaphor and symbolism. The lyrics aren’t really that shrouded in mystery. Sounds like he’s criticizing somebody for what he perceives as their phoniness, ruthlessness etc.. It’s just a cool, moody, funky tune.